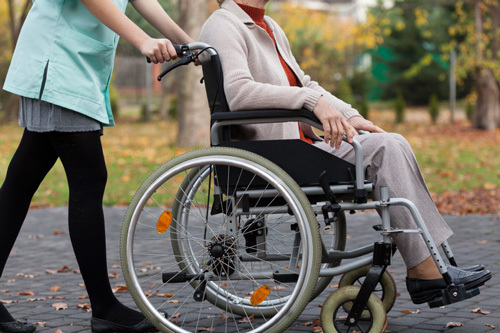 A recent study by Georgetown University has revealed some troubling statistics for mobility-assisted individuals. Wheelchair users are 36% more likely to die when struck by a car compared to other groups. Male wheelchair users are five times more likely to die in these situations than female wheelchair users. The data was taken from the National Highway Traffic Safety Administration’s Fatality Analysis Reporting System. The System is an aggregate of police and news reports that are compiled to give a sense of traffic-related deaths. The researchers looked at data for fatalities between 2006 and 2012 when making their assessment. During this period, 528 wheelchair-bound pedestrians were killed in road collisions compared to roughly 390 pedestrian deaths among the general population. Of these wheelchair collisions, nearly 78% showed no signs of drivers attempting to avoid the crash. Due to limitations in data collection, only wheelchair collisions could be compared. The data was not clear enough to separate other mobility devices (e.g. motorized scooters) from recreational ones like mopeds. The data also did not distinguish between types of wheelchairs, so it is possible that certain models are safer than others. The exact cause of each collision was hard to determine; however, researchers noted that visibility of the wheelchair was a factor in 15% of incidents. Other theorized contributors to the fatalities include pre-existing medical vulnerabilities or being struck more squarely by the car due to sitting position. It is also possible that wheelchair-using pedestrians have to travel on the street more often due to a lack of curb cuts to let them onto sidewalks. Further research into specific risk factors will be required to establish anything more definitive. Wheelchair users are encouraged to take certain measures to better protect themselves. Since roughly 25% of the fatal crashes happened while using a crosswalk, wheelchair users are advised to not cross if they are unsure they can make it before the light changes. Taking steps to increase visibility, such as placing reflective markers on the wheelchair, will also help improve a driver’s ability to notice them. Attaching a raised flag or pole to the wheelchair would also be of assistance in making a user more visible to drivers of larger vehicles. Drivers, of course, are also urged to pay better attention to the road. Kraemer, J. D., et al., “Disparities in Road Crash Mortality among Pedestrians Using Wheelchairs in the USA: Results of a Capture–recapture Analysis,” BMJ Open, 2015; doi: 10.1136/bmjopen-2015-008396. Rapaport, L., “Wheelchair Users More Likely to Die in Car Crashes,” Reuters web site, November 25, 2015; http://www.reuters.com/article/2015/11/25/us-health-wheelchairs-traffic-safety-idUSKBN0TE2R320151125#psBZfY7ozZZfJ8ml.97.